Few computer peripherals are as venerable as Microsoft’s IntelliMouse Explorer, an old series of office mice so well-rounded they were once one of the most popular choices for professional gamers. 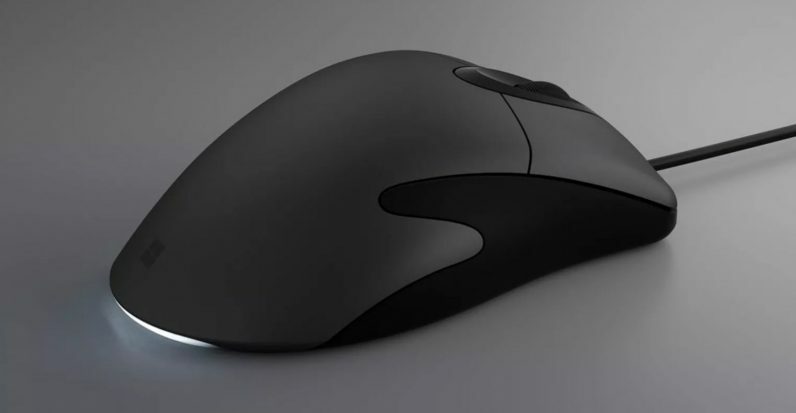 Now Microsoft has brought it back to life with the new IntelliMouse Classic, making my nerdy heart skip a beat. It’s available from the Microsoft Store now for $40 bucks. Too bad it seems the company didn’t give it any gaming chops at all. The mouse is basically a modernized version of the IntelliMouse 3.0 – except now in a sleek gunmetal and black look – with a similar shape and customizable buttons. Naturally, it’s using newer sensor hardware, Microsoft’s own BlueTrack technology, which is able to track even on glass. Unfortunately, the sensor doesn’t seem all that good. Though the 1000Hz polling rate was mildly encouraging, BlueTrack sensors have been consistently bad performers for gaming, and the 40 inch per second was disheartening. We haven’t used it ourselves, but early reports seem to confirm the mouse isn’t viable for serious gaming at all. Shame. To be clear, the original IntelliMice were never explicitly designed for gaming. It just happened to be a really good office mouse series that was among the first to use a scroll wheel and optical sensor. That sensor happened to have a lot of technical properties gamers look for, like a lack of smoothing or angle snapping. It’s obvious Microsoft isn’t marketing the IntelliMouse Classic to gamers. But after all these years, someone at Microsoft has to be aware that many (if not most) of the people who are nostalgic enough to get excited about an IntelliMouse in 2017 are gamers. I mean, just look at the 38-page thread on Overclock Network, or the hype in this Reddit thread. All Microsoft had to do was pop in a decent gaming sensor in there, like the popular Pixart 3310 or 3366, and it could have sold the mouse in droves, probably even at a much higher price tag. And it’s not like the people using it an office are going to be upset the mouse has a better sensor. For now, I’ll just have to keep on dreaming.